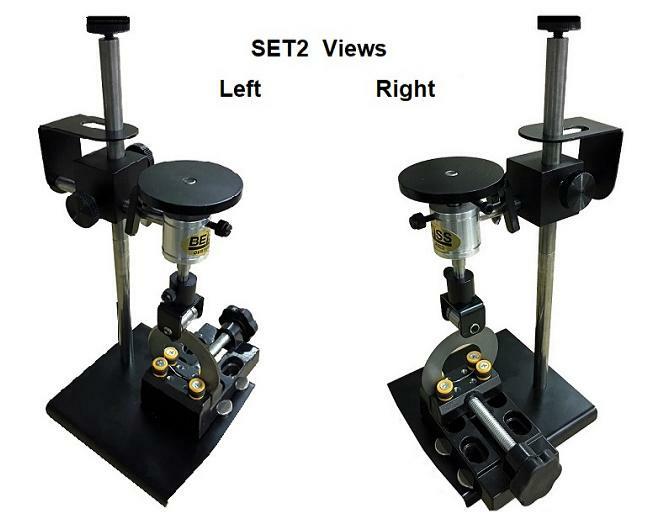 The SET2 is an industrial edge retention test system that, when used in conjunction with our PT50A, accurately measures an edge's susbceptability to rolling. Rolled edges are, by far, the primary reason that cuttting edges of all types lose their ability to cut, slice or chop. Unless the material you are cutting contains a naturaly occuring or added abrasive element, edge rolling (not edge erosion) is the primary reason your edges fail. The SET2 system goes a step further in that it not only indicates the relative degree of rolling but calulates directly how the incident roll will effect the efficacy of the edge. The SET2 is still under test but will be available to the general industrial market soon. If you have a potential application and would like more information please contact us at EOU.